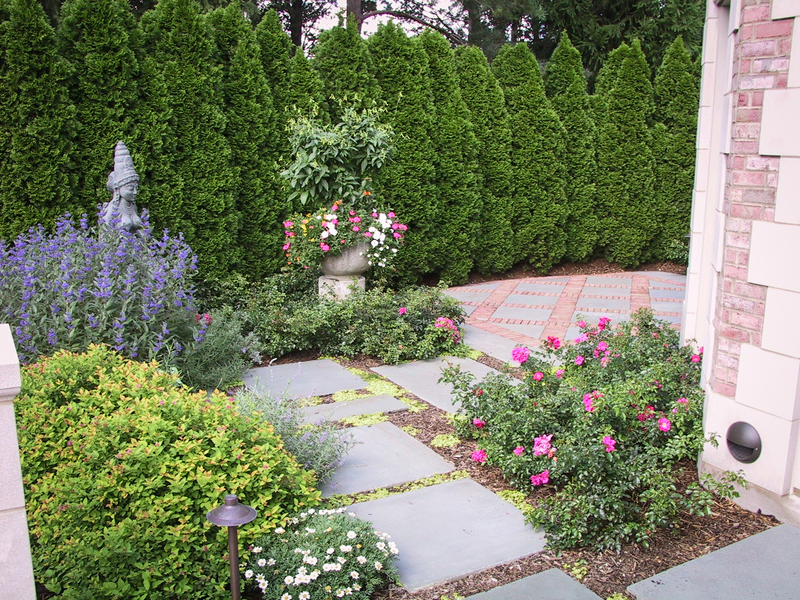 The best spaces in any garden are those that offer beauty and function. Over the years, this client chose to transform this space to meet her visual and functional desires. The original green screen offered seclusion for this conservatory terrace, but in a later phase, the client wanted a different level of screening and visual impact. The hedge was traded for a wall and espaliered Belgian fence of apple and pear.